Yesterday I posted a poem inspired by Pie Corbett’s If Only. If only we had used his approaches to developing writing years ago!!! Pie has delivered INSET in my school on two separate occasions so far. The first training session looked at Storytelling and the second at Developing Non-Fiction Writing. Although I have a reasonable size school for a primary, 420+, training is not cheap. I work within a cluster partnership of 26 primaries and host half termly meetings for the heads of each of these schools. We have stand alone nurseries, infant, junior and primary schools represented. I opened the first training event about Storytelling to our partnership and it was incredible how many schools readjusted their INSET calendar so their entire staff could attend. We had over 100 staff in attendance. My staff were totally enthralled by the day. If you have ever accessed any training with Pie, you’ll know it’s top notch and you leave filled with a myriad of ideas which make you want to teach the children straight away. 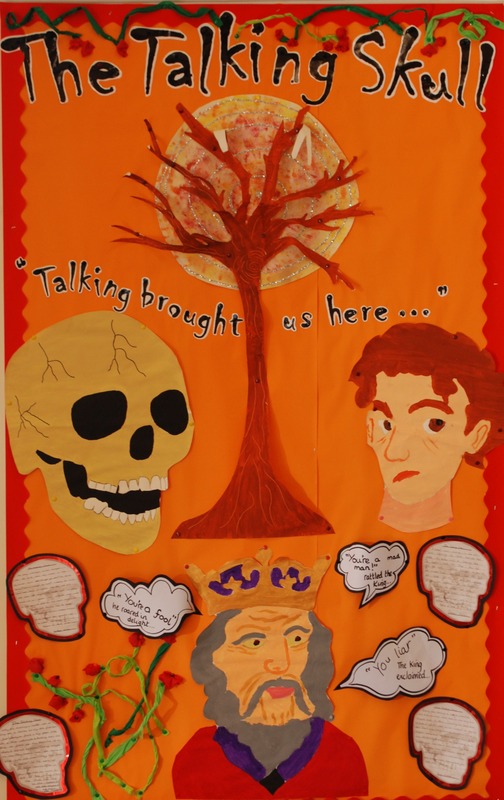 As a school we adopted his approach of Talk for Writing whole-heartedly and full on – staff were geared up for it. It was incredibly exciting! As HT I was desperate to work with the kids on key aspects that we could develop as common and consistent practice cross the school. We focused upon Storytelling. How many 3,4,5 year olds know all the fairy tales and nursery rhymes because they have learned them at home? Where I work very few children know these stories and rhymes. Pie affirmed this with before and after video clips of reception children who had not been immersed in stories and the language of storytelling. If children do not know stories, don’t have stories read to them, don’t read stories, then how we can expect them to be good writers. 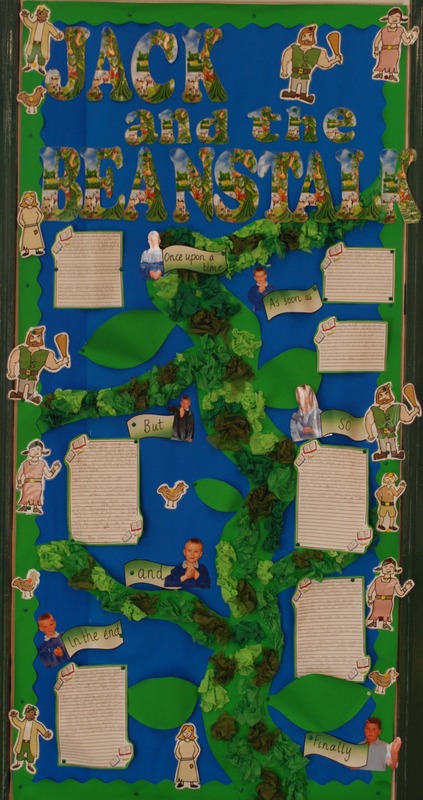 We developed sets of stories we expected children to know in each year group – it isn’t a definitive list but ensures stories are built upon and not repeated. The ultimate aim is for children to have a wealth of stories at their fingertips and lips. We set about ensuring our school dripped with stories. 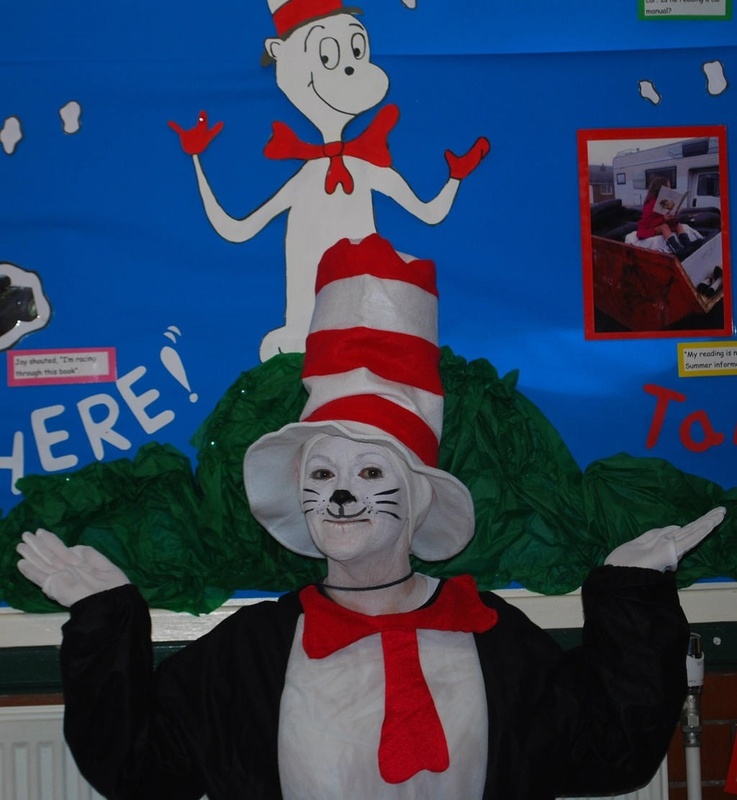 Displays reflected this; days to dress up as book characters; competitions for reading stories. One competition which proved to be extremely successful was for children to be photographed reading in unusual places. Pie’s approach is to ensure children initially know the story inside out. This is called IMITATION. Imitation is learning the story. Learning and internalising the patterns. When you read stories to children and the language repeats every now again, you notice when the children are finishing the lines of the story for you – magic! 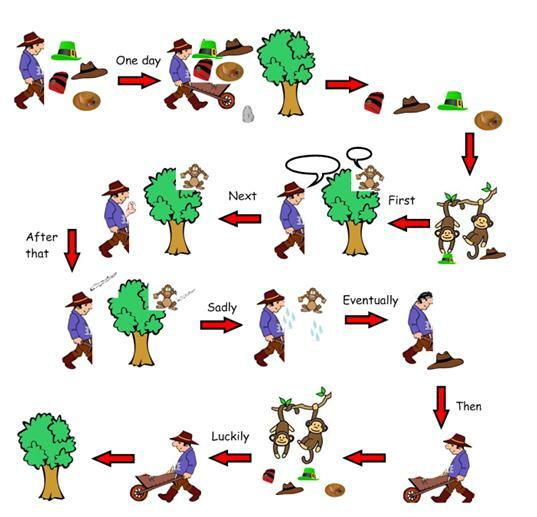 The story is led by the adult using visual actions for sentence openers and connectives. 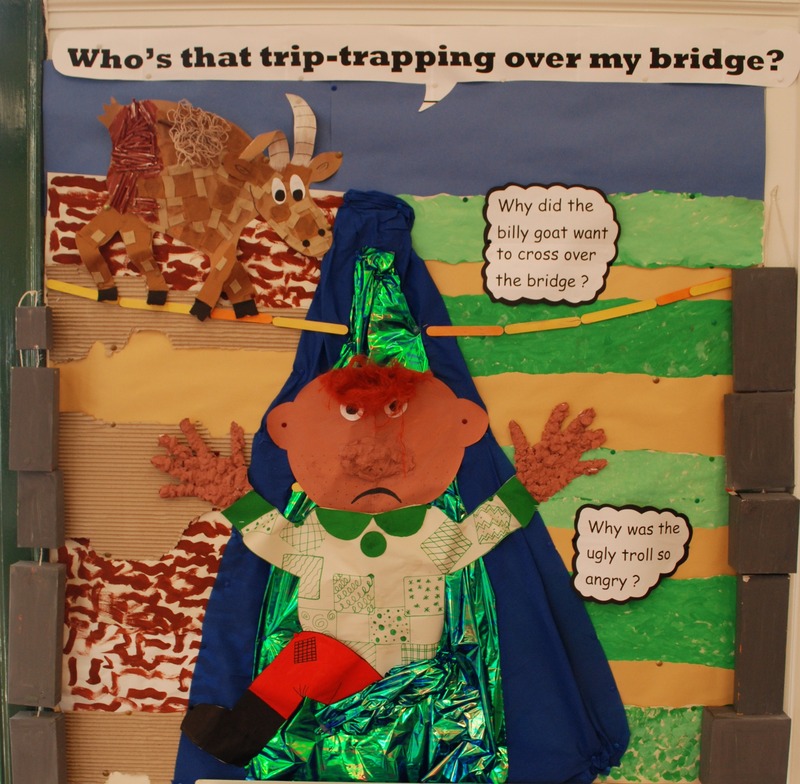 These actions remain consistent but also act as a hook for children to structure the story. They are immediately exposed to high quality sentence openers and avoid ‘and’ and ‘then’. Because They are so used to reselling the story using these power sentence openers, it transfers automatically to their writing. 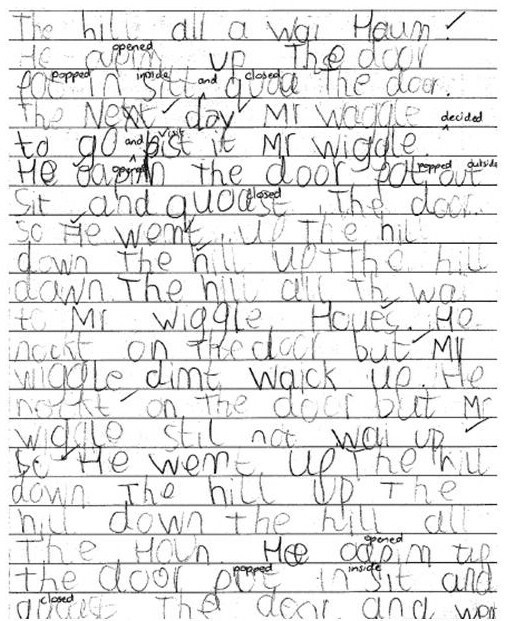 We have success in this as young as Y1 in the writing side, however, nursery and reception children resell using the power openers and connectives. 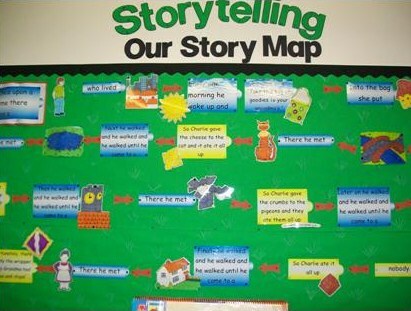 Visual story maps are used to support learning. They use pictorial cues as well as hinting at the appropriate sentence opener/connective. These can be drawn on flipcharts to support the flow of the story until children have completely internalised the story. Children create their own as a skeleton writing frame. They have the bones and they can add the organs, muscle and skin as they develop the story. It takes time for children to learn to retell a whole story but once they do, you can move on to INNOVATION. You can only innovate when text is in long-term working memory. You ‘hug’ the story making key changes along the way. Read and talk the text – reading or telling. Comprehension – deepen understanding through discussion, drama, writing in role, representing and exploring the text in many ways. Analysis – read as a writer. Stimulus – something interesting to write about. Plan and talk the text – gather and organise ideas – talk the text prior to writing – take feedback, refining and retelling. Writing – draft, polish and publish writing. Teaching writing – Think of a good book/text you enjoyed- what made it a good read? If you are not doing shared writing then you are not teaching writing. Teach progress – let the ‘marking’ focus the teaching and learning – not as an after thought. After INNOVATION comes INVENTION – the time when we let the children loose!!! INVENTION :- using what you have learned from the story structure and writing your own. Throughout IMITATION, INNOVATION and INVENTION, storymaking language is used consistently. Pie shared actions for key sentence openers. We adopted these throughout the school with a layered approach. The action created for a particular opener or connection does not changed from year to year. The only change is that the layered language is extended year upon year. I can go into any classroom and join in storytelling because the approach is consistent across the school. 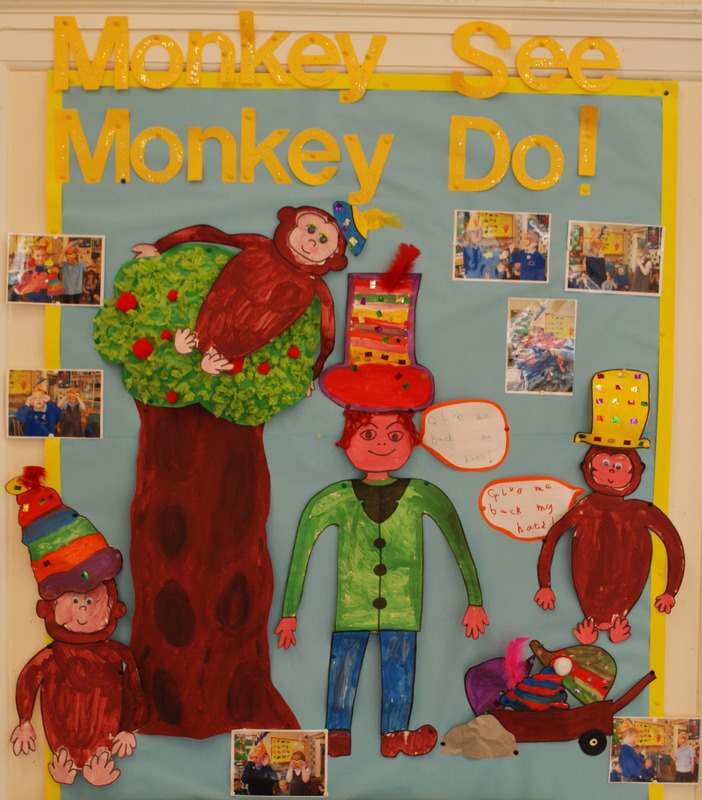 In each classroom the actions for the layered storymaking language are on display – using the children’s photos of themselves demonstrating the action. This is fairly well embedded now and as children move to the next year group, the photos follow them to their next class. The impact upon standards is significant. This was in a space of one month! 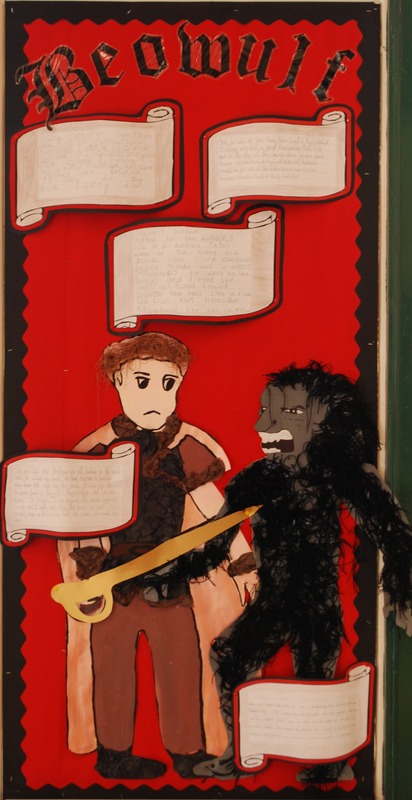 The final result was a whole school hall display of a collection of stories inspired from Pie Corbett’s work and books. The second training event focused upon developing Non-Fiction Writing. Over 150 in attendance with most schools wanting their entire staff to attend for greater impact. Pie’s book for Non-Fiction Writing is well worth it. No longer were children being taught how to write a set of instructions for making a jam sandwich!!!!! They were writing about how to trap a troll, ensnare a dragon etc… Great for the boys!!!! Pie returns again to my school in April 2013 to look at developing writing through art, sculpture, paintings and photos. 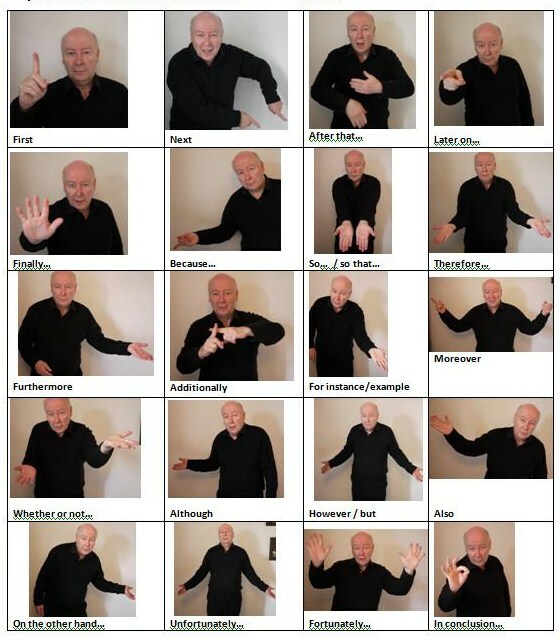 He will also touch on how you teach the grammar (SPAG) in a creative way. We have staff attending from 2 of our local secondary partner schools to access this training to support staff between KS2 and KS3. These 2 schools are highly different. One is an outstanding Academy and the other is category 4. Great to be working in such a cohesive way. If you get the chance to attend any of his training you are guaranteed to come away itching to put it all into practice. This entry was posted in 365 days in my shoes by rachorr. Bookmark the permalink. I am hoping to persuade Pie to support 100Word Challenge this year. Have you planned what you are going to write about each day? 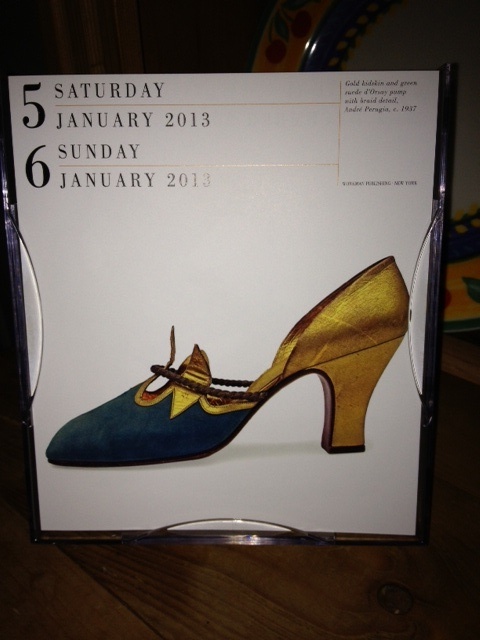 I LOVE these shoes too! I have something’s planned already, ideas, but weekdays may just be what crops up on the job etc… Or something that crosses my mind. This is great. 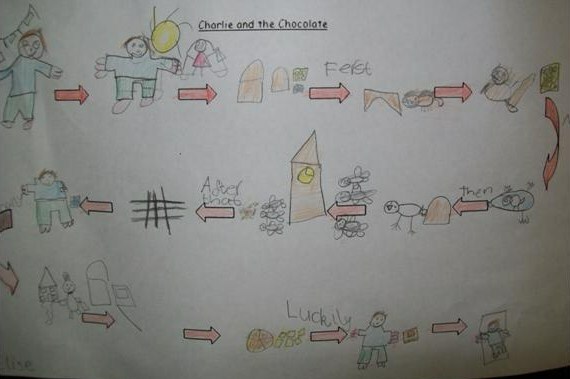 I have just started using Talk 4 Writing in my Year 1 class and it has had fantastic results. Nice to see others enjoying it too. Love reading this- thank you. 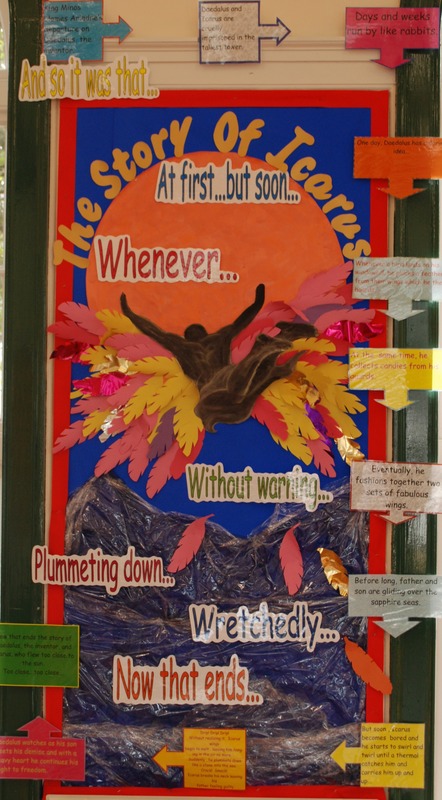 We love pie’s t for w at our school- incredible outcomes! Interesting that he is coming to you fr spag session- any chance I could come too? Send me a DM via twitter. I don’t think Pie does that as much now. I have been fortunate that he came into my school 3 times. Have you got the list of books that you have for each group that you have thought were useful? I will be teaching a Year 2/3 class and will be looking at adopting a Talk for Writing approach. We are only developing this in the school and I would appreciate some help in developing a good library of resources for the year. Pie has a list of books he recommends on the Talk for Writing website. Nice to read your blog. I am teaching in an international school in India and we are introducing story writing this year. I teach year 3. Any suggestions on where I could look for ideas? Books by Pie Corbett from his Storyteller series are very good. Drsgonory one is suitable for Y3/4. Hi there, I am teaching a year 6 class and am wondering how the learning a text and acting it out benefits their writing at this stage in their English progression. 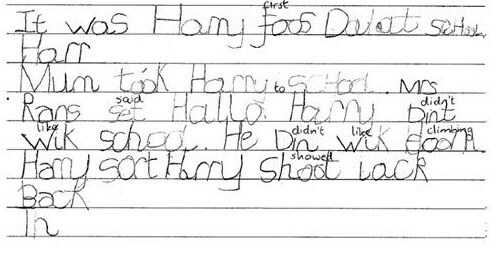 Children build human writing frames that they can draw upon for any theme as they already have internalised the structure of a text type/genre. Your blog sounds great. It is just what I am aiming to do. Would you be willing to share the list of books you set up for each year group. I have trailed it in Year 3 and 4 and now I am doing training for the whole school. Any help would be really appreciated. I think you will find this very useful. Also look at the free downloadable resources on a Talk 4 Writing website and you will find another set of books organised by year group suitability.